These are all of our upcoming events. Please contact us if you would like to attend. 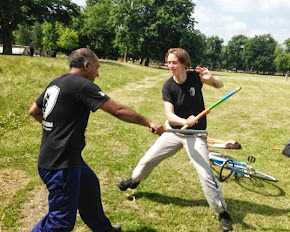 Urban Escrima Nightclub Self Defence Seminar Saturday 12th April 2014 from 11.00am – 14.00pm at 1001 Cafe, 91 Brick Lane, E1 6QL. This event will be certified! This event will cover realistic scenarios which take place in a nightclub / pub environment. We will show you how to defend yourself in difficult situations. Loud music and flashing lights all have an impact on your senses - your natural reactions will therefore be impaired. We will show you simple, but extremely effective techniques to deal with any threats. 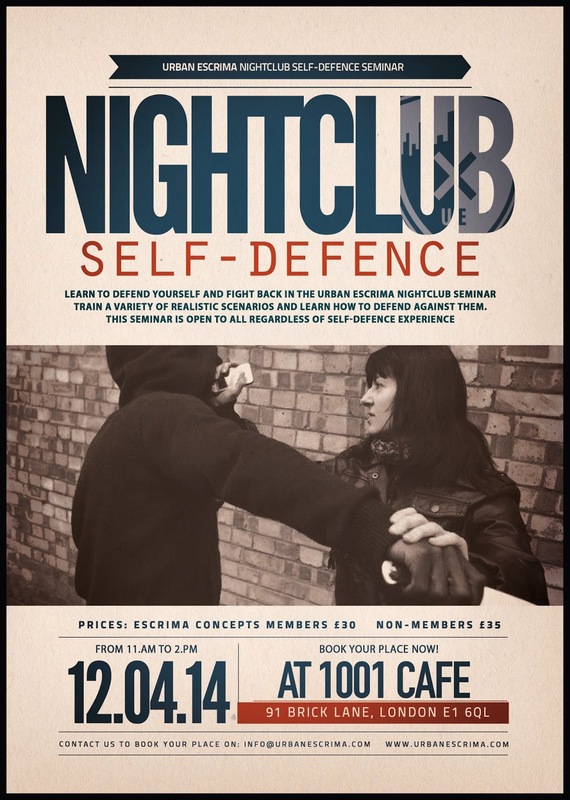 As this seminar takes place in an actual nightclub, this is as REAL as you will get for learning effective and practical Self-Defence!